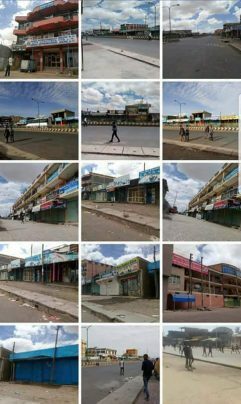 (OPride)—Ethiopia is rocked by widespread protests and reports of killings as a three-day stay at home strike and market boycott continues for the second day across the restive Oromia State. Security forces killed at least 17 people in two separate incidents of violence in Hararghe and Bale zones. 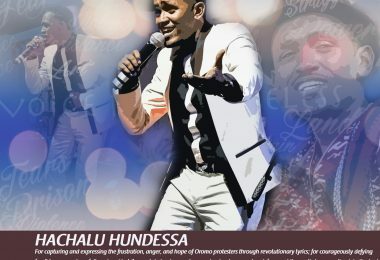 The social media-driven market strike was called to demand the immediate and unconditional release of jailed Oromo political prisoners. In dozens of towns across Oromia, tens of thousands took to the streets to express their anger over the continued detention of activists and opposition leaders, including Bekele Gerba, whose failing health has become the cause célèbre for activists in Ethiopia and abroad. Other demands include making Afaan Oromo the federal language; calls for an end to rampant impunity for federal security forces and justice for the victims of its ongoing abuses. In some localities, activists blocked roads, stopped cars, and burned tires. Arrests and crackdown were reported in Burayu, a town outside of Addis Ababa, and in Jimma zone. However, despite the widespread protests and near-universal observance of the market strike, there have been limited reports of clashes and disturbances. The Qeerroo—a youth cohort behind the boycott plan—and the Oromia police have been credited for ensuring peaceful and orderly protests on the first day. Businesses remained closed on Tuesday for a second day amid reports of a complete halt in nonessential travel and transportation in and out of Ethiopia’s capital, Addis Ababa. 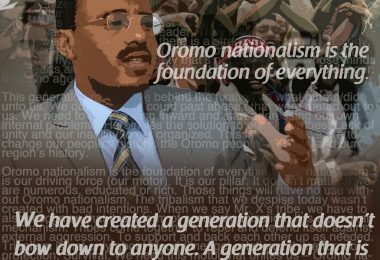 In a remarkable and unprecedented development, perhaps for the very first time, the state-run Oromia Broadcasting Network (OBN) dedicated nearly an hour of its airtime to the coverage and analysis of the market boycott. OBN reporters stationed at towns across the state called in their reports and some even speaking to protesters and organizers about the aims and success of the boycott. If its current practice continues unencumbered, OBN could set a new standard for other state-run outlets in Ethiopia and become a shining example of press freedom and editorial independence. In a statement on Facebook, the Oromia Communication Bureau said, “the public has the right to express its voice. It has democratic rights to raise any questions at a time of its choosing. No one can take away or obstruct these legal and natural rights.” The statement also cautioned that calls for boycotts, especially in the absence of measurable goals and a party that can take responsibility, has its own disadvantages. To mitigate possible risks, the bureau urged the regional law enforcement to redouble their efforts to maintain peace. Oromia has been the epicenter of anti-government protests since 2014. The immediate trigger for the protests at the time was opposition to an urban master plan. Authorities responded by killing peaceful protesters and arresting tens of thousands of people. The public grievance grew over time to include lack of political freedoms, economic marginalization, and the freedom of those jailed suspected of taking part or organizing in the protests. On Feb. 11, a day before the market boycotts began, federal security forces opened fire on protesters at a camp for internally displaced persons in Hamaressa, a small town near the ancient city of Harar in eastern Hararghe zone. At least 14 people, including a member of the Oromia police, were killed and 11 others injured. The Hamaressa camp is one of the many makeshift IDP camps sheltering the more than million people displaced by an ongoing border dispute between Oromia and the Ethiopian Somali regional state. In an unrelated incident, on Feb. 12, federal security forces opened fire on civilians at a market in Mada Walabu district of Bale Zone in southeastern Oromia, killing three people, including two mothers of eight and seven children, and critically injuring seven other civilians. “I am upset by the reports of deaths and violence, even as I am hopeful about what Ethiopia can accomplish if stated goals of reform are followed through with quick and comprehensive action,” U.S. ambassador to Ethiopia, Mike Raynor, said in a statement. “People need to be free to express themselves peacefully, and to be confident that they can do so. Lethal force to protect the safety of the public, even in the face of violent protests, must always be a last resort.” He also called on the public to demonstrate its commitment to peaceful expression of dissent and constructive dialogue with the authorities. The statement comes a day after the U.S. government issued a travel advisory, urging American citizens to shelter in place or postpone travel to Oromia and Amhara regions until the market strike ends on Wednesday. 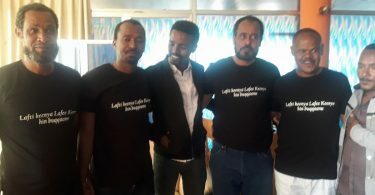 On Monday, as the market and business boycott began, the Ethiopian government announced plans to drop charges against Bekele Gerba and three of his colleagues from the opposition Oromo Federalist Congress. “The federal attorney general today dropped charges against seven suspects, including Bekele Gerba,” state-affiliated Fana Broadcast Corporate reported. 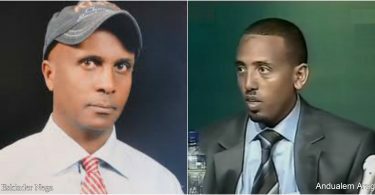 “The move is part of the decisions made by [the] Executive Committee of EPRDF to drop charges against and pardon politicians and individuals, in order to build national consensus and widen the political space,” FBC said, referring to the ruling Ethiopian People’s Revolutionary Democratic Front. It remains unclear when and if Bekele will be released, and whether the OFC leaders will be pardoned or they have to serve two recent six-month sentences for contempt of court. Bekele and his colleagues were arrested in December 2015 and later charged with terrorism for allegedly inciting the #OromoProtests. Bekele’s charges were later reduced to criminal offenses. The other three leaders – namely Gurmessa Ayano, Addisu Bulala and Dejene Tafa – are still defending bogus terrorism charges. PM Hailemariam Desalegn has resigned. What’s next for Ethiopia?